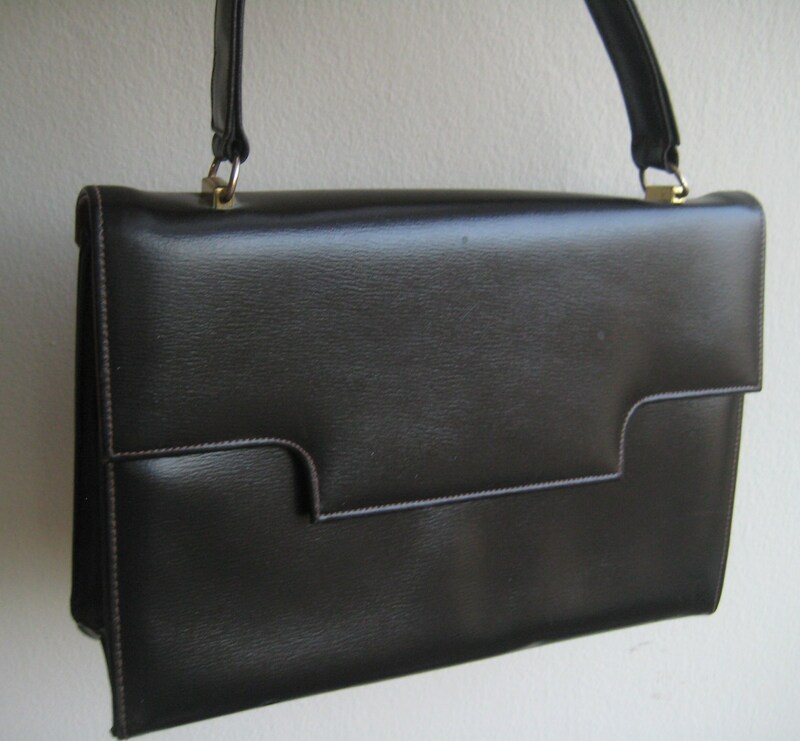 Perfect dark brown leather handbag. 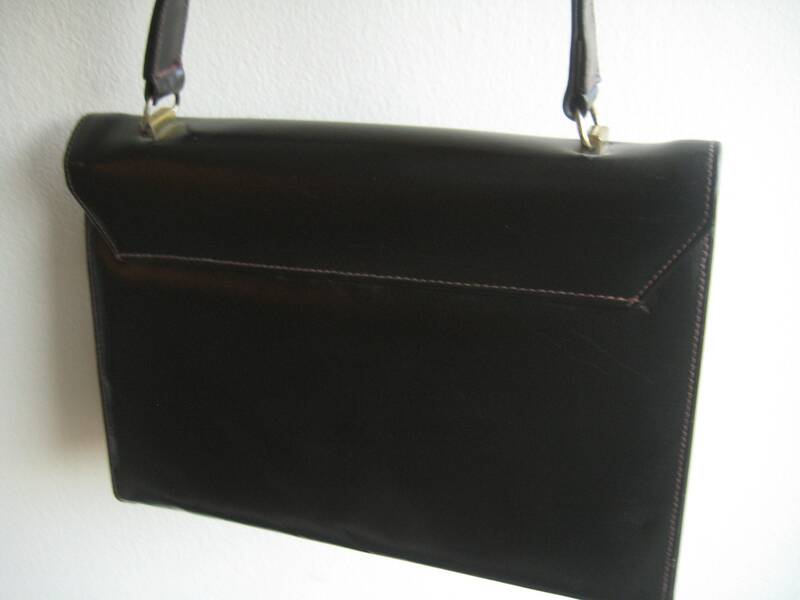 Comes with original tag that states, "ce sac est fait de veritable cuir." Classic vintage lines. 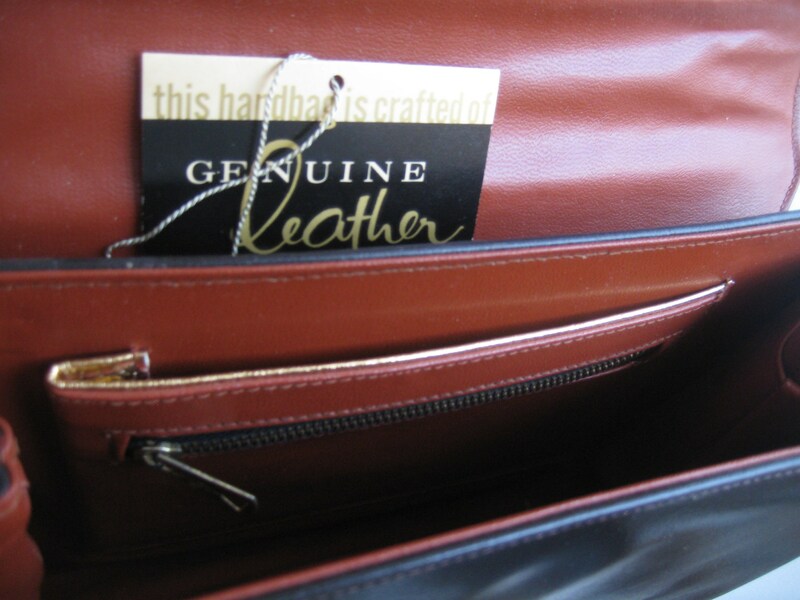 Pretty light brown stitching feature. 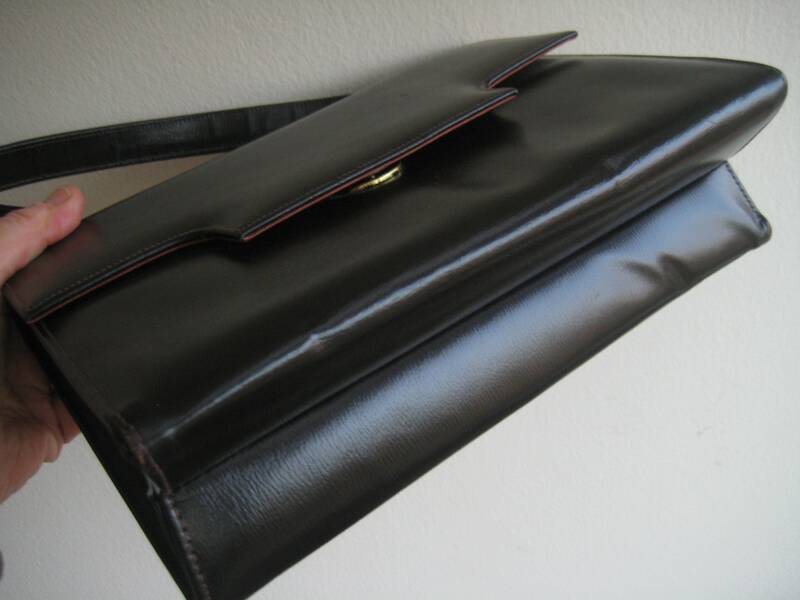 Fold over closure with a metal snap insert. Matching handle with a 5 inch drop. Gold tone metal attachments. 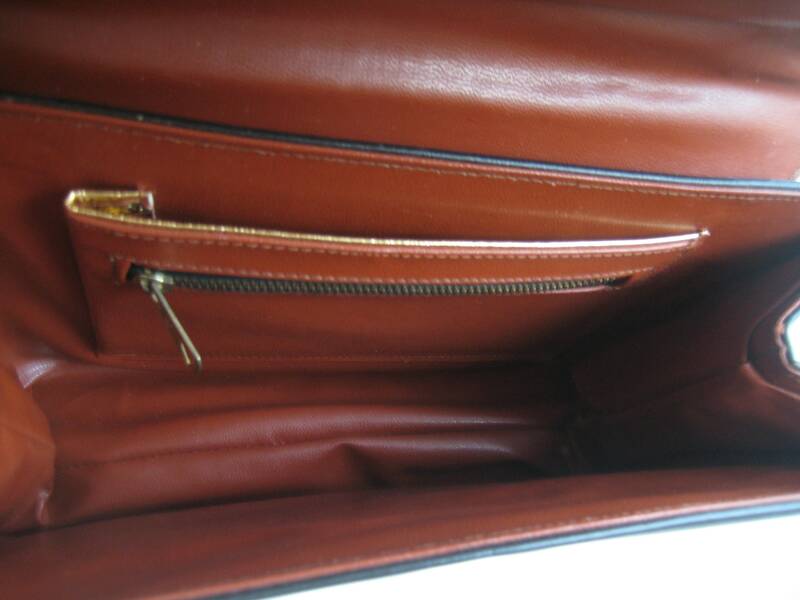 Rust color interior with a patch pocket and metal zipper pocket. Pristine condition. Dimensions: 9.5 inches long x 7 inches tall x 2.5 inches wide at the bottom.